When you play Finn and the Swirly Spin, hopefully some of that Irish Luck will rub off 0n you. 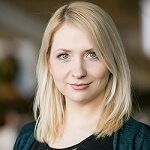 This new NetEnt slot release uses a pretty common theme for its design, but was soon as you scratch under the surface you will see that this slot offers you a very unique twist, quite literally. Finn and the Swirly Spin use a one of a kind reel layout, where the slot symbols progress in a liner fashion along a swirling path. This swirl forms a square 5×5 grid similar to a standard lot, but rather than the symbols tumbling down vertically, they will follow the path of the swirl to the centre of the reel grid. This unique design opens the game of for very unique approaches to the bonus games. The main bonus feature is triggered by a special golden key that will appear at the start of the swirl with each new spin. If you manage to cause a chain reaction of matching symbols, that key will move all the way to the centre of the reels and literally unlock great rewards. Even though this does not mark the first time we have seen a slot with an Irish Leprechaun theme, Finn and the Swirly Spin is certainly the best looking slot with this theme. You won’t be disappointed by NetEnt’s always-stunning 3D graphics engine. The intro clip for this slot perfectly sets the magical mood for you. Finn and the Swirly Spin is packed with bonus features making the game very rewarding and fun to play. The unique reel movement is already entraining enough, but NetEnt have taken the action a step further and added random bonus features along with Free Spins. 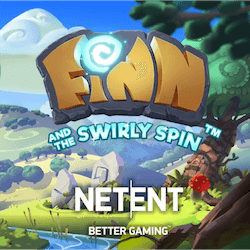 Finn and the Swirly Spin is available from all NetEnt compatible online casinos.